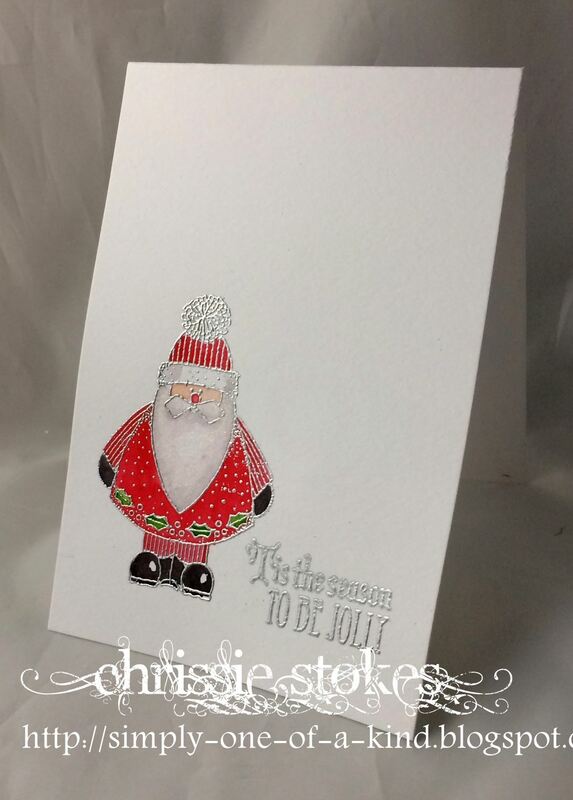 Simply One of a Kind: One Layer time at "Less is More"
The one layer challenge at Less is More this week has the theme of SANTA! I took a little liberty and used an image of a duck dressed up as Santa! I think he looks really cool! 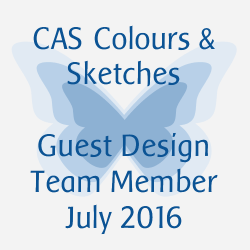 He's coloured with Distress Inks which don't show through on the inside of the card as alcohol pens do! The sentiment is computer generated and made me smile.... it reads... What do you get if you cross Santa with a duck? ...A Christmas Quacker! 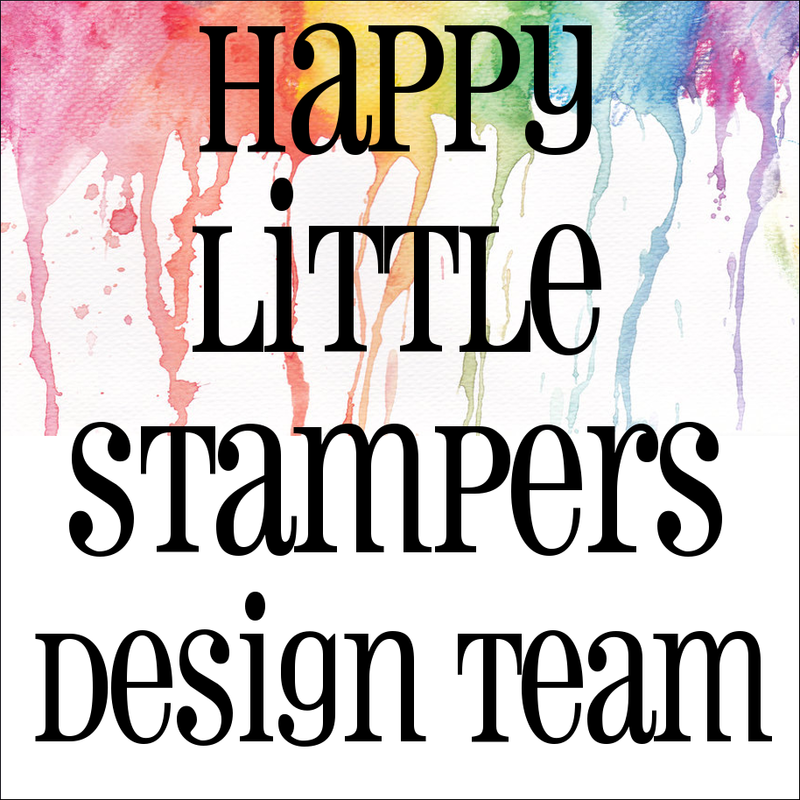 I've had this stamp for many years and once more it's coloured with Distress inks.The sentiment is one from four sets I bought at half price in the Craft Fair in Portsmouth a few weeks ago! I thought this Santa looked rather jolly! Love your very cute Christmas Quacker, Chrissie!!!! And Santa is darling, too!!! Very sweet cards!!! Your first card made me smile and I love the jolly santa too! Superb, fun and festive Chrissie! Love that cute duck blinged up like Santa and a great sentiment too! Super fun image on your first card! That made me decide to look through all my stash to see if I had a santa with something funny... Hope you have a colourfull week! 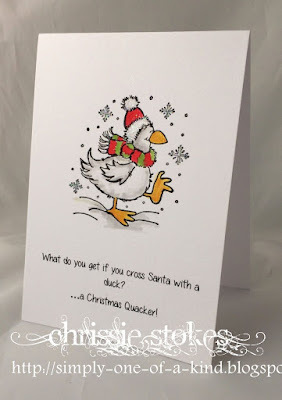 Chrissie, both your cards are amazingly beautiful, love the Christmas Quack, Ha!!! that made me smile. Your second card is just so beautiful, love the silver embossing on both the adorable Santa and the sentiment. This is one funny card - love the snowman! !